Charming cottage walking distance to amazing Elm Grove Park and schools. This lovely one story features beautiful custom built-ins throughout. You will feel at home with large den w/ cathedral ceiling, wood floors and cozy brick fireplace. Sun room off kitchen is perfect location to enjoy your morning cup of coffee or for kids to play. Kitchen is wonderfully open to the main living areas. Master features vaulted ceiling and large walk-in closet. Secondary rooms are well sized and secondary bath has been recently remodeled. This home has been updated with double pane windows throughout; roof 2106; AC and ducts replaced 2012; fresh paint 2019; concrete patio added in backyard. This one SHINES and is ready for it’s next owner! Please, send me more information on this property: MLS# 45951476 – $175,000 – 5118 Creek Shadows Drive, Kingwood, TX 77339. 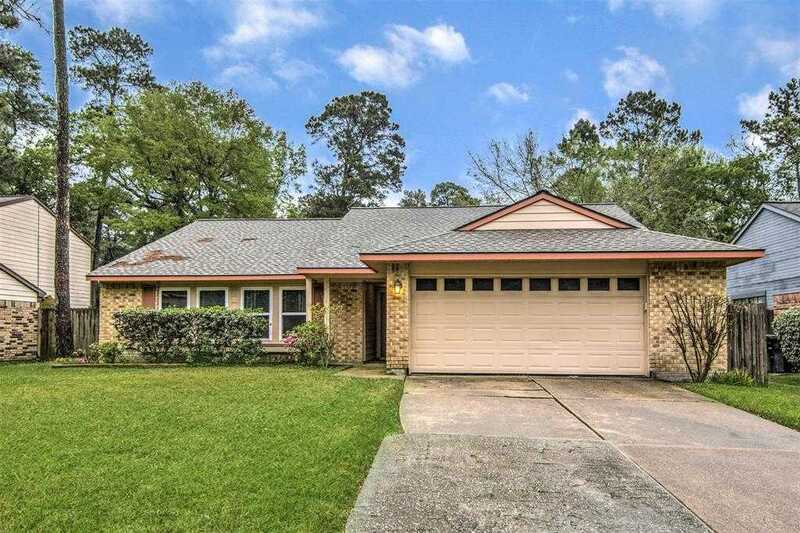 I would like to schedule a showing appointment for this property: MLS# 45951476 – $175,000 – 5118 Creek Shadows Drive, Kingwood, TX 77339.